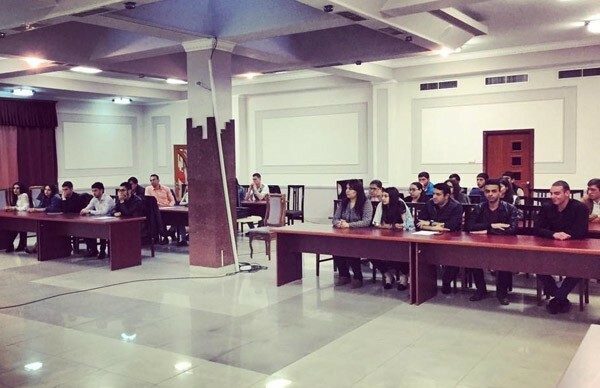 Members of Yerevan Council of the Youth Organization of the Republican Party of Armenia (RPA) initiated the discussion entitled “30 years after Sumgayit”.Chairman of Yerevan Council of the Youth Organization of the Republican Party of Armenia Armen Gevorgyan made an opening speech. Then a speech was made by Larisa Alaverdyan, Executive Director of the NGO “Against Violation of Law”, who presented the legal aspects of Sumgayit pogroms. The coordinator of the Congress of Refugees from the Azerbaijani SSR, Mariam Avagyan also delivered a speech and presented the disproportion of "the status of Azerbaijani refugees from Armenian SSR and the status of Armenian refugees who left Azerbaijani SSR”. After the discussion experts gave exhaustive answers to all the questions of the young people.